Come in. Relax. And enjoy your time at Cafy's. 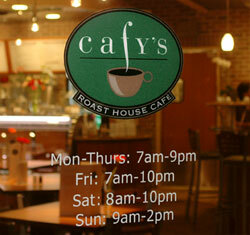 Unfortunately, due to the downturn in the economy, Cafy's has closed its doors. Website design and maintenance by Ventress Design Works.